A stretch of road along the N25. A MAN IN his 20s has died in a road traffic collision between a car and a lorry on a dual carriageway. The incident happened on the N25 at Bawnard, Ardmore, Waterford at around 4.30am this morning. The man in his 20s, who was the sole occupant of the car, was pronounced dead at the scene after his car collided with a lorry. His body remains at the scene. A man in his 40s, who was driving the lorry, was removed to University Hospital Waterford with non life threatening injuries. 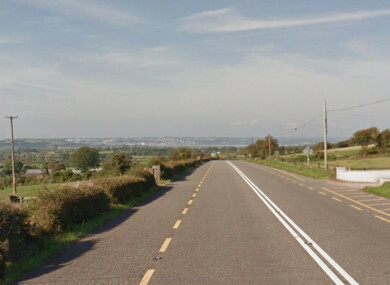 Witnesses who may have driven on the N25 between the hours of 4am and 5am from Youghal bridge to Dungarvan, and who may have dash cams in their vehicles are asked to contact Dungarvan Garda Station on 058 48600, The Garda Confidential Line on 1800 666 111 or any Garda station. Email “Man (20s) killed after car and lorry collide in Waterford dual carriageway”. Feedback on “Man (20s) killed after car and lorry collide in Waterford dual carriageway”.